Good weekend. Have you ever gotten lucky enough to spend time on the water? Yeah, fishing. Sometimes it’s not about the fishing it’s about that talk and the people. When it’s deep enough it is life long. Go fishing. I read that post today and it conjured up memories of a time long past for me. Carefree days of youth that up until this very moment I had recessed deeply in my mind. Fishing was never something I was very into doing. Quite frankly, it’s something I haven’t done in a quite a long time and after today, I’m beginning to wonder why that’s been the case. Not too far from my home runs the Bushkill Creek, once a popular water way for local fishermen and one that was also well-loved by most children who grew up during the early 1980’s. The coolness factor of the creek for kids was actually two-fold: for not only did the flowing waters of the creek run adjacent to the Crayola Crayon factory but its waters also ran next to a hundred year old amusement park, now long since closed, but one that my family visited religiously every summer while I was growing up. On many weekends during those same warm summer days, days when “back to school” was not even a blip on the radar, my father would gather the rod and tackle box, hustle me into our ’77 Malibu and take me fishing at the Bushkill Creek. Making our way down the hillside towards the creek with my pole dangling back and forth was exhilarating. The challenge that awaited: casting a piece of string with bait attached into the water and waiting. Waiting for a strike. To a ten-year old boy there simply was nothing that compared to the opportunity of catching a trout in front of your father. It was better than coming home with an “A” on a test or hitting a home-run in Little League. I surmise it’s the same feeling you get while watching the announcement of Power Ball numbers on television. The build-up of excitement you get as each number called matches the one on your ticket. The opportunity you sometimes get of only needing one more number to win the jackpot. 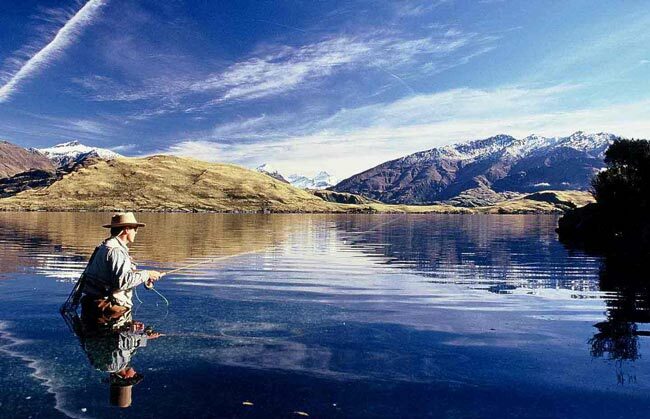 In reality though, fish or no fish, just being there with my father was like winning the lottery. If I think back hard enough I can still picture the mist rising off of the creek and feel the warm breeze on my face. There really is something to be said for being next to a body of water. Most of the time, if we were lucky, there would not be another soul around either. It would just be me and my father alone. Not far from our house but still one with nature. Silence was golden during our trips to the creek too. The fish required it and we were happy to oblige. But there’s also a certain “language” used between fishermen that only they can understand. Anticipating what each one is doing and assisting as necessary. So while I quietly opened the tackle box, my father, without saying a word, would begin adjusting our poles for proper casting. The only sounds made was the squeal of the reel and the “plop” of bait into sea. At this point, we’d both sit on the ground and then…silence. At a certain point during our time together I’d find myself shuffling closer to my father with my legs dangling over the edge of the creek. I wasn’t really sure why I did it. As a child, perhaps it was because I assumed that by doing so some of his “grown-up” fishing magic would rub off on me. But in retrospect and with my own wisdom of years I now know that it was simply the need to just to be closer to him. After a few unsuccessful hours we’d begin packing up our gear. My father would pat me on the back and we’d make our way empty-handed back up the hill and steer off towards home. On the drive home, and with the sun beginning to set on another perfect day, we’d make a pact with each other to try again the following weekend. Only this time with success. You know, in all of the fishing expeditions my father and I took together to the Bushkill Creek I don’t ever recall getting anything more than a single bite or two. And I don’t think I personally ever actually caught a single fish either. Instead, I caught something even better. 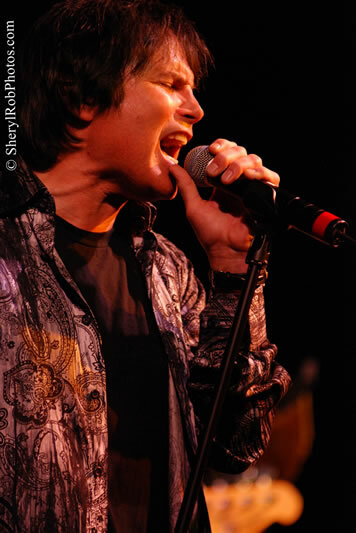 In November of 2011 guitarist Frankie Sullivan and vocalist Jimi Jamison together announced that after a long hiatus Jimi would be returning as lead vocalist of the band Survivor. The group, which has a plethora of hits including “Eye of The Tiger”, “The Search is Over” and “I Can’t Hold Back” among others, will soon embark on a tour and begin work on their first album of new material with Jamison in more than five years. 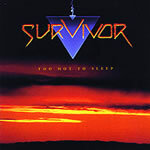 The new lineup of Survivor includes Jimi Jamison (vocals), Frankie Sullivan (guitar), Marc Droubay (drums), Billy Ozzello (bass) and Walter Tolentino (keyboards/guitar). In the second of my two-part interview with Frankie Sullivan I ask him about his approach to songwriting, the sessions for the album Vital Signs, his take on X-Factor/American Idol and why paying your dues as a musician is so important. 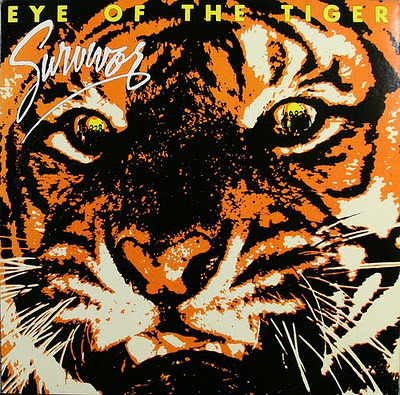 We’ll also discuss the upcoming 30th anniversary of “Eye of The Tiger”, the theme song from Rocky III, which earned the band an Academy Award nomination among other accolades, and still ranks as one of the biggest songs of all time. gJg: You’ve written a lot of really big hit songs and one thing I’ve always wanted to ask you about was the process you use for songwriting. FS: Actually it all depends. Sometimes I’ll start with a lyric if I’m inspired by the right thing, or a person or a place or you know, some experience. “I Can’t Hold Back” was like that. But sometimes it could be a guitar lick like the beginning of “I Can’t Hold Back”. I was just goofing around with the acoustic guitar one day and (Jim) Peterik was like, “Hey, what’s that you’re playing?” and we took it from there. The next day we finished writing it. That was “I Can’t Hold Back.” It’s what ever you feel at the moment. I like to play the guitar a lot. I jam out on a lot of riffs. And it’s not really heavy or hard all the time. Sometimes it’s on acoustic or piano. I think it’s whatever strikes your chord at the moment. But as long as you can get it out there and then maybe get with someone who can relate to and finish it, that’s what matters. gJg: So you and Jim would just sit in a room together and start bouncing ideas off of each other? Playing and writing things down on paper? FS: Jim Peterik and I, back in the Vital Signs days and prior, would write Monday through Friday every day from 2 o’clock until six or seven no matter what. No excuses, it was like going to work. We were practicing and honing our craft trying to do the best we could do. Some days we’d write two songs, some only one but we always had the work ethic of how we wanted to go about it. I’m proud of the fact that we always worked hard. You know, it’s really difficult to write good songs. But Jim and I were coming from two different places. We were like night and day so the stuff we wrote together would always have that extra spark to it. 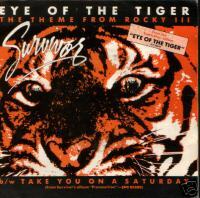 gJg: Was “Eye of The Tiger” like that as well? FS: You know, that was the easiest of them all… (laughs). I think we wrote the music for it in like half an hour and it took us three days to write the lyrics only because we couldn’t come up with the punch line. But we kind of had it down in half an hour. gJg: So there’s no big story about how it was written? FS: No, there’s no real brilliant story behind it. Some of the stuff I’ve seen on the Internet that people have written about it and I’m like, “No, it’s not like that…that’s ridiculous!” – That’s not what happened. It was real simple. The president of our record company was friends with (Sylvester) Stallone. They were really good friends. He had the Queen song “Another One Bites The Dust” and Stallone wasn’t happy with it. So he said “Well you know, I have this band…” It was just two social guys having dinner. That’s what started it all. I remember Jim Peterik had pneumonia at the time so I went out alone and spent ten days working with Stallone and it was just a blast. He was totally cool. He just wanted it to slam. He wanted it to sound just like the demo but with balls. So I played it for him and took it to the limit and he loved it. And afterwards I remember seeing it in the movie theater and thinking to myself, “Man, this sounds raw, it sounds rock. It sounds basic.” There are a lot of cool things about it. It sounds like it was on the spot. You can hear a lot of spontaneity in it. You can hear Dave (Bickler, the singer at the time) just going for it and you can tell some of the lines are just scratch lines. There’s a lot of good stuff going on. You know, I can’t believe it’s been that long. And there’s still a lot of cool stuff going on with it. Even today I’m hearing that Stallone wants to go LIVE and take it to Broadway among other things. We just got a plaque from Sony, it’s something like 2.8 million downloads. I don’t have an updated official number but I know it’s the 8th most downloaded song on the Internet right now. People love the tune. They can identify with it. Plus, it doesn’t hurt to be part of Rocky. 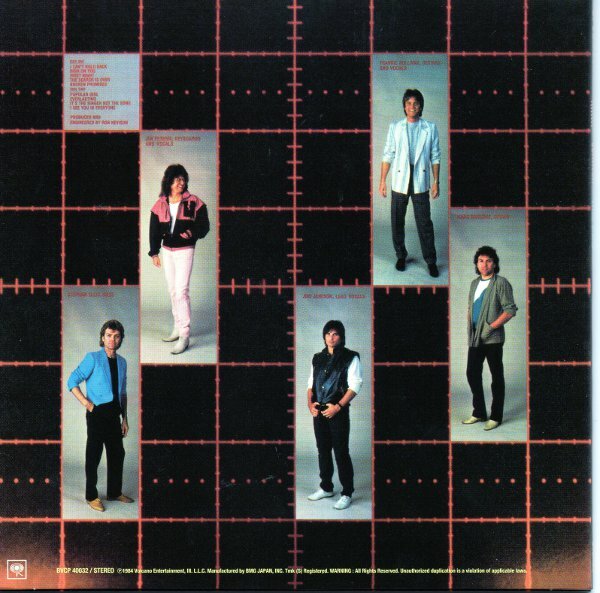 gJg: Then you had success with “Burning Heart” a few years later. FS: Yeah, Burning Heart was after Tiger. That was in Rocky IV. That one was actually just a phone call we got. They asked us if we could do another song and we were like “Of course!” We wanted to be part of Rocky too. That sure wouldn’t hurt us. (laughs). Not with a #2 record. gJg: What was the story with “Fire Makes Steel”, the song from the “Reach” album that was rumored to be on the Rocky Balboa soundtrack a few years back (2006)? FS: You know, I just think at certain times things are either meant to be or not meant to be. Looking back now, I think this was a case where it just wasn’t meant to be and I’m ok with that. 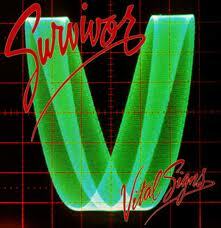 gJg: Let’s talk a little bit about my favorite Survivor record: Vital Signs. The first album I ever bought and subsequently wore out. That album has meant so much to me that I now have it framed and hanging on my wall. FS: That’s really an intense album. Ron Nevison (producer) really was responsible for that record. In the beginning it came down to songwriting. Then it came down to Jim’s voice changing the whole landscape of Survivor. But in the end, Ron Nevison played such a huge part. gJg: Yes, I read a lot of interviews where you were talking about his contributions to the success of it. Unfortunately, the first time we got him on board it didn’t work out. But the second time we got him (for Vital Signs) he was really hungry and just wanted to work again. I mean, he always works hard but on ours, he worked so hard I can’t tell you. gJg: It paid off for sure. FS: It absolutely did. Nevison worked so hard at making us all do the best we could do. He was very demanding with us. Not difficult, but demanding. There’s a difference. Always demanding that we did our best. And it really did pay off. We already had the songs but Ron helped us arrange them and helped us deal with this new voice that I loved. I remember when he first committed to do the record with us that he didn’t know what to expect. I sent him over a cassette tape of our rehearsal with some of the songs. I think “Broken Promises” was one of them. He said “That sounds great, I’ll do it”. And the thing is, he’s very picky about what he does so we really got lucky. It’s like I said earlier, everything is always kind of either meant to be or not but at that point all of us were working together towards the same goal and that’s what mattered most. What’s funny is that even though we worked really hard there was a lot of fun with it too. It’s true dude. People sometimes become jaded and forget that. They forget the one thing that makes it all worthwhile: It’s fun. People sometimes ask me what I do it for and I tell them: “Because it’s fun as hell to get up there on stage and play the guitar, have people act crazy and have a good time and sing along with your songs. That’s really, really enjoying. gJg: What do you think about those shows like “The X-factor” and “American Idol”? The ones where they get some unknown up there who wins a contest and then all of a sudden they’re famous. What are your thoughts on that? FS: I’ve kind of been down on that ever since Tyler did it (current American Idol judge Steven Tyler). I don’t know why. 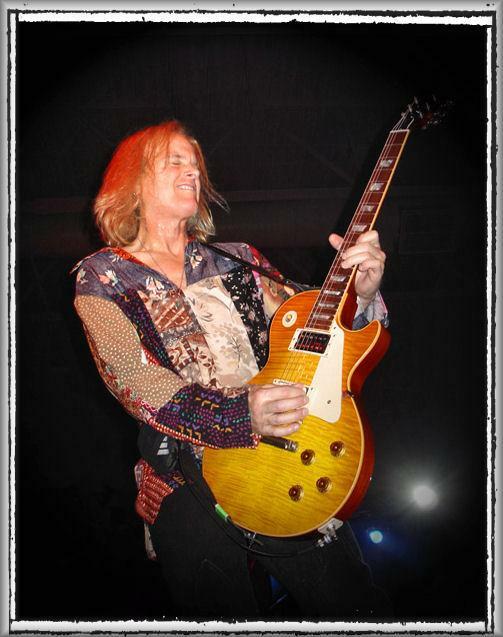 I guess I’m a Joe Perry kind of guy (guitarist from Aerosmith). Seriously though, I really think that you can’t short-cut the process. What it’s really all about, at the end of the day, for any and every artist is paying your dues. Shows like those sure as hell try to short-cut it. Sometimes they succeed but most times they fail. Most of the time when something is manufactured, especially where music’s concerned, you can tell its been short-cutted. gJg: I read somewhere where Brittany Spears’ last album had something like 25 songwriters on it, 10 producers or something outrageous like that. Authenticity is obvious. It’s something you can’t always explain but you can feel it in your gut. That’s when I put on “Houses of The Holy”. You know what I mean? Jimmy Page and Robert Plant used to write from the heart and soul. Now that was real talent. Guys that just went in and jammed on the great tunes. Through their feel and relating to each other. Throwing down the best stuff they had to offer. People, like Jimmy Page. I mean, the kids out there obviously know of his work but if they saw him play they would “get it” it one second .They’ll probably never get to see him play but if they did, they’d “get it” in one second. 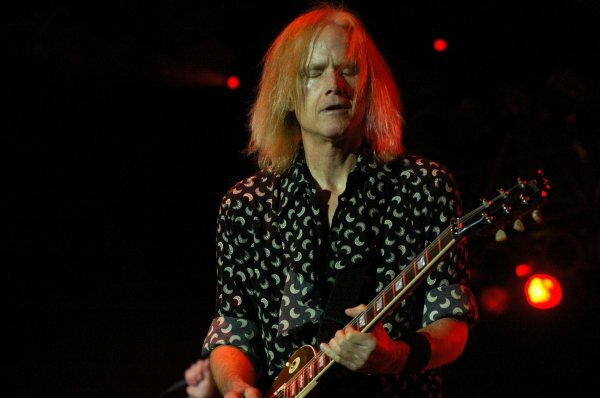 I mean, here’s the guy who came up with “Whole Lotta Love”,”Black Dog” and all those riffs. We overlook that but man, there’s a GENIUS at work there. I mean just with guitar riffs. gJg: It seems that contributions from artists like that are now just taken for granted. FS: Well, I guess that’s human nature. But with music you just can’t take anything for granted. I think you just close your eyes, put blinders on and then just go to the woodshed. You make an agreement with yourself that you’re just going to do the best you can do. You say, “I’m going to the write the best songs I can write. Put down on the table the best I have to offer.” If you do that, and really try hard you’re probably going to come close. But if you sit around and you’re complacent and lazy and not really sure well then that’s how it’s going to come out. I really don’t have much of that in me. I really want to work. It’s kind of a void now-a-days. I mean, except for the Chili Peppers and people like, say Dave Grohl (Foo Fighters). I really like him. They throw down. I just don’t have the stomach for a lot of this contrived new stuff. gJg: Well I just hope you guys make it around to my neck of the woods this year. FS: I’m sure we will man. If we get our way, both Jim and myself are gonna make it to every neck of the woods. That’s what we’d like to do. gJg: I have to tell you the best show that I ever remember seeing was when you guys were with REO Speedwagon back in 1985 at Stabler Arena in Bethlehem, PA. Both of you were at the top of your game. You guys had “I Can’t Hold Back”, “High on You” and “The Search is Over” out and REO had just hit #1 with “Can’t Fight This Feeling”. FS: That was THE tour man. gJg: That was the best show I ever saw. I say that only because the impact of it still sticks with me today. No other show has done that for me. FS: That’s nice of you to say. We were really at our peak. We were just on the road having a good time. We realized that the harder we tried to make something happen it just wasn’t going to. So we just decided to have the best time we could. People still like spontaneity. People can tell. gJg: How will you choose what songs you’re going to do this time around? I mean, aside from the hits. FS: I think this time around we’ll look at around 45 or 50. I think we’ll actually look at the whole catalog. You can look at the fact that the keyboard player just doesn’t play keyboards but is also a killer guitar player. 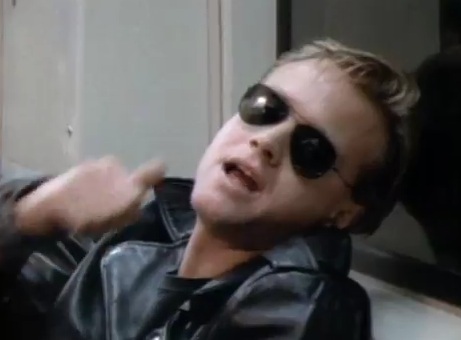 So now you say ok, now we can do “Love is On My Side”, “Take You On A Saturday” (from the “Premonition” album). You can go down the whole list. And then you can say, “Well, isn’t this fun? We don’t have to play the exact same set all the time. We can change it up every night.” And people can kind of be re inspired. It will be like playing a different show every night. I think that’s where both Jamo and my heads are at. It’s a good place to be, where we’re at right now. gJg: I really appreciate you taking the time to talk to me Frankie. FS: (Laughs) Yeah, it’s kind of like me with “Black Dog” saying “Yeah, how do I play like this guy?” But I found it didn’t sound exactly the same. Then I realized it’s because Jimmy Page has got different fingers and a different soul. gJg: I felt the same way playing your stuff. FS: Well, that’s nice to hear. I’m glad you enjoyed it though. I really am. Thanks for your time. I really appreciate it. gJg: No problem. It’s been great talking with you. Looking forward to what’s next with Survivor. Happy New Year to you. FS: And the same you too. 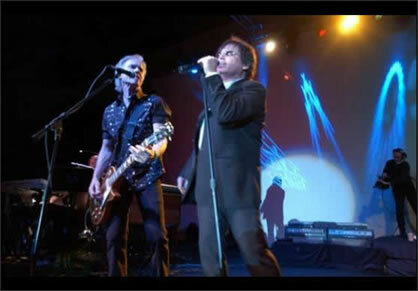 In November of 2011 guitarist Frankie Sullivan and vocalist Jimi Jamison together announced that after a five-year hiatus Jimi would be returning as lead vocalist of the band Survivor. The group, which has a plethora of hits including “Eye of The Tiger”, “The Search is Over” and “I Can’t Hold Back” among others, has been recording and touring sporadically the past few years with vocalist Robin McAuley. 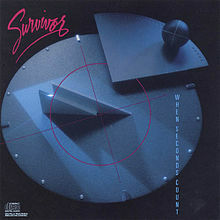 The news of McAuley’s departure and Jamison’s return also coincides with the announcement that Survivor will embark on a new tour in the summer of 2012. In addition, the band also plans to start work on their first album of new material since 2006’s “Reach”. I was fortunate to be able to speak with Frankie Sullivan and get the inside scoop on the reunion with Jamison and a lot more. In the interest of space I’ve divided this interview into two parts. In part one Frankie will discuss the decision to go back to the classic voice of Survivor and talk about the group’s plans for 2012 and beyond. As you read this interview you may discover that at times it sounds as if I’m being a bit biased and for that I apologize. You must understand that this band’s music has had a huge influence on me as both a fellow musician and as a person. What follows surely reflects that. For me, the excitement of having both the classic voice of Survivor back and the opportunity to speak with Mr. Sullivan personally is a dream come true. goJimmygo (gJg):Hey Frankie, how are you? Frankie Sullivan (FS): I’m just fine, how are you? gJg: I’m doing good. It’s great to be able talk to you. FS: You too man. What’s shakin’? gjg: Right now, pretty much everything is actually (laughs). When I heard you guys were coming back with Jimi (Jamison) I was stoked. FS: Yeah, that was the call of the century (laughs). It was a decision that wasn’t that hard to make. It took me about two seconds. I was like (referring to Jamison): “Dude, what are we doing here? C’mon”. FS: Yes and now we can finally team up with them. 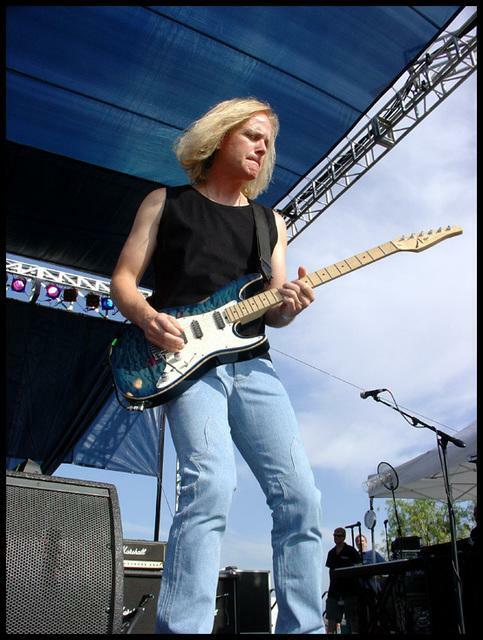 gJg: What I thought was even cooler was that bands like Journey and Night Ranger, who both had released new albums, were mixing new songs into the set list instead of just playing all of the hits. It was nostalgic and it was new at the same time. FS: Yes, it’s really cool because now they want us out there again. FS: It actually took a while to get Jimi into it though. He was trying to do his own thing and sometimes you just have to try and give people space. Eventually, it all comes full circle and so now, here we are. So now we’re just waiting. You’ve just got to let things take their course. Jimi still has some obligations to fulfill and ours (Survivor) are done. gJg: I noticed that Jimi seems to be playing a lot of dates in Europe and very select shows here in the states. Is there a reason for this? FS: Oh yeah, Europe is a huge market for us. For both Jimi and Survivor. It’s a huge market. gJg: I have to be honest, I was really starting to miss not having you guys come around a lot. FS: Well, we’re going to be doing that again. Jimi and I just want to play forever you know? Now we can go and do that again. We just haven’t done it as a band. I think the last time we did was around 2006.
gJg: Yeah, that’s where I got my Vital Signs record signed by you and Marc (Droubay, drummer). FS: Oh really, at Hershey Park? (laughs). All the chocolate all over the place. That’s great. It will be great to get back out there again. gJg: Oh man, I’m really excited for this. FS: Right now we’re really having a lot of fun with just the idea of it. Once Jimi’s done with his obligations then we’ll really start picking things up. You have to finish all of your obligations otherwise it reflects on the whole rather than the individual you know? He’s got about three or four weeks left and then we can get together, start rehearsing and go to work. gJg: Do you have plans for a record after the tour? Have you been writing or anything like that? FS: I’m always writing and Jimi’s actually become a good writer too. Plus he can sing anything. We’ll probably end up doing both. Spend the summer playing dates and getting on a tour package and then maybe recording during the fall/winter. gJg: From the moment I first heard him back on the Vital Signs record right up until his newest album this year with Bobby Kimball he still sounds exactly the same. Not a sign of slowing down. He’s just unbelievable. FS: He was actually the very first guy we tried out. 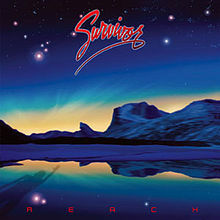 (Survivor replaced original vocalist Dave Bickler following a vocal condition that would require extensive rest). I loved him from the start and everyone else in the band would say “Ok, that’s cool but let’s try out the next three or four singers”. So after the fourth guy I can remember saying “Man, I don’t want to do this anymore. Let’s just bring the first cat from Memphis back!” (Memphis, TN – Jimi Jamison’s hometown). So I think it will work better in terms of new music with Jimi being more involved in the writing rather than just having to show him and say “Here, sing it this way.” He’s always better when left to his own devices. gJg: It’s the singer not the song right? FS: That’s what it is. That’s what it is man. gJg: I’ve always loved the way yours and Jimi’s voices sounded. They blended so well together. FS: We’ve always sang well together and had fun on stage. Again, it’s all just a matter of timing. People have to go off sometimes and do their own thing. Everyone at some point has to try something on their own. It only makes them bring more to the table when they do come back. gJg: Do you have any plans to work with Jim Peterik or Stephan Ellis again this time around? 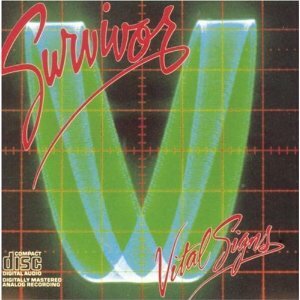 (Peterik and Ellis were also part of the “classic “Survivor line-up in the 1980’s). FS: Well you know, Marc (Droubay, drums) is still with us and Stephan doesn’t really play much anymore. I’ve seen him a few times over the past few months. He’s a really good guy. It looks like it’s going to be me, Marc and Jamo (nickname for Jimi Jamison, pronounced “jay-moe”). Jim Peterik I’ll always call my partner. I call him that because we’ve written so many songs together over the years. But Jim’s always been trying to do his own thing. He really wants to do that. gJg: Was it difficult letting Robin (McAuley) know of the decision to go back to the classic voice of Survivor? I wanted to let Robin know right away of the situation with Jimi. I didn’t want to lead him on and have him possibly miss out on any opportunities that may be coming. But I’ve always loved working with Robin. He’s a real hard worker. gJg: I see that he’s back with Michael Schenker now doing some tour dates. FS: Yeah, he has some dates in February and March lined up. He always has a great time and I know he’ll do his best. gJg: I remember reading on Survivor’s website not so long ago that you had a new single coming out called “How Do You Feel”. What’s the status of that? FS: That’s a song we recorded with Robin. I told him not too long ago that I was thinking about releasing it on our website for New Year’s because people will flip when they hear it. It’s really good. But now with Jamo back I think it might get people confused. gJg: Were plans ever made to record an entire album with Robin? FS: Yeah, we actually had about six songs in the can and they’re all REALLY good. Robin is a great singer and a hard worker. He’s always been. I remember thinking that while working with him on his solo record back in the 90’s. 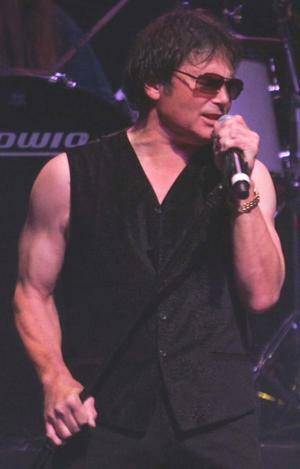 I just think the real “voice” of the band has always been Jamison to give the fans what they really want. They (the fans) kind of made it clear that’s what they wanted and this is exactly what I needed. 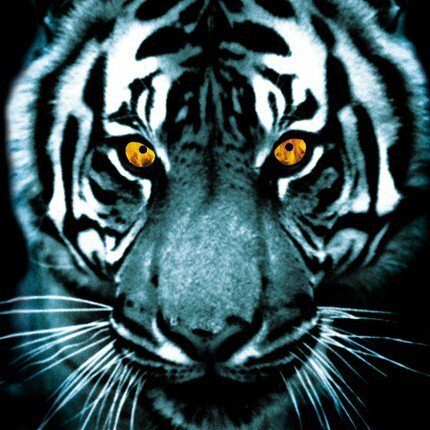 I ask Frankie how he feels about the upcoming 30th Anniversary of “Eye of The Tiger”, the theme song from Rocky III which earned the band an Academy Award nomination, among other accolades, and still ranks as one of the biggest songs of all time. I’ll also ask him about his approach to songwriting, the sessions for Vital Signs (one of the band’s biggest albums), his thoughts on current reality based music talent shows and why he believes paying your dues as a musician is so important. Good stuff.